17 customers were able to try this promotional product before it sold out at 1:00 PM on January 4. 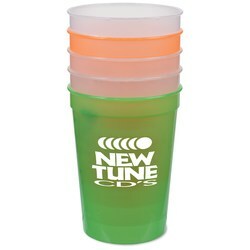 The regular, guaranteed lowest price on 250 of these cups would be $272 with set-up! Imprinted stadium cups help you change your look from the bottom to the top! Here’s a way to truly entertain your fans! This durable plastic stadium cup changes color when ice cold liquids are poured into them—right before their very eyes! 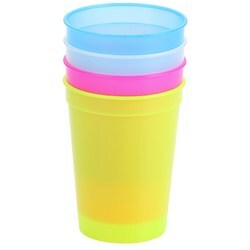 Plastic reusable cup is a great party favor for sporting events, company picnics, banquets, amusement parks and other parties. Available in one of your choice of several vibrant colors with a contrasting color-change. Pricing includes a one color imprint wrap imprint on the cup.